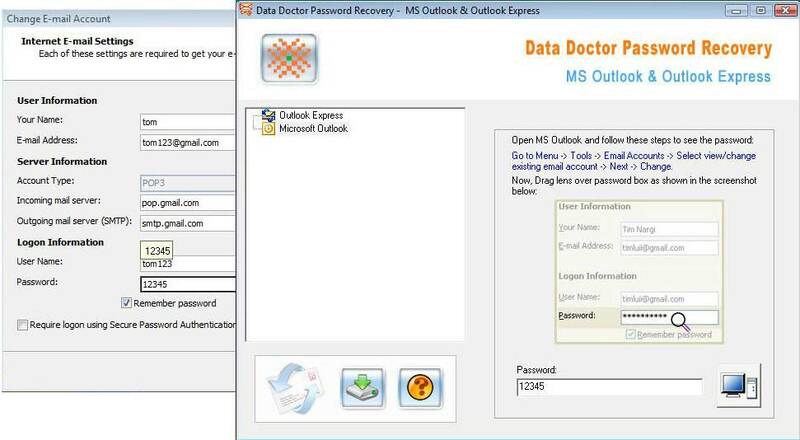 Outlook and outlook express password recovery software helps the users to recover lost, or forgotten Microsoft office outlook and outlook express saved password for multiple email and news group account. Handy software similarly reveals the users identity password instantly. Retrieves server information including (incoming mail server and outgoing mail server) and saves recovered data in text file format for future reference. Password recovery tool support all versions of outlook express and office outlook on windows operating system like 98/ 2000/ 2003/ XP/ NT/ ME/ VISTA. Recovers misplaced lost forgotten user login id/ news account password. 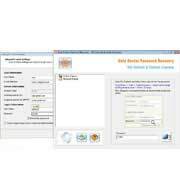 Easy to use software support multilingual password recovery. Shows complete list of outlook and outlook express users together with their identity password. Provide recovery of password with in a second time. GUI interface supported software does not require any technical skills to operate it.